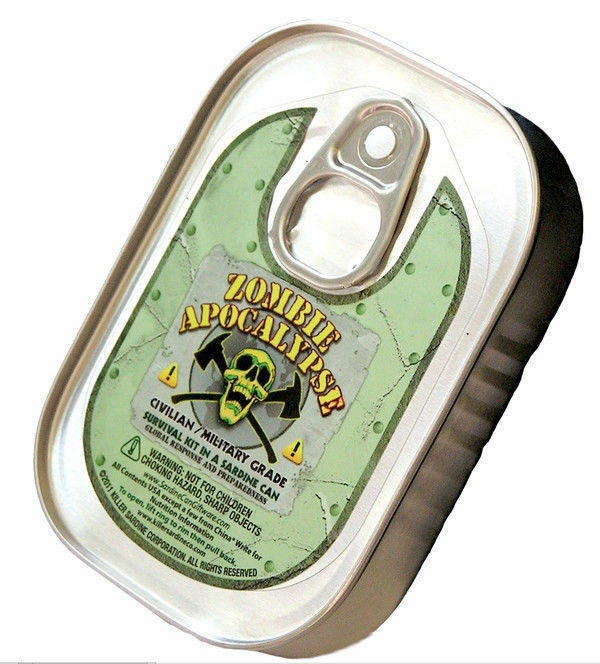 The Zombie Apocalypse Survival in a Sardine Can is the perfect item to have in case of any Natural Disaster or Emergency! 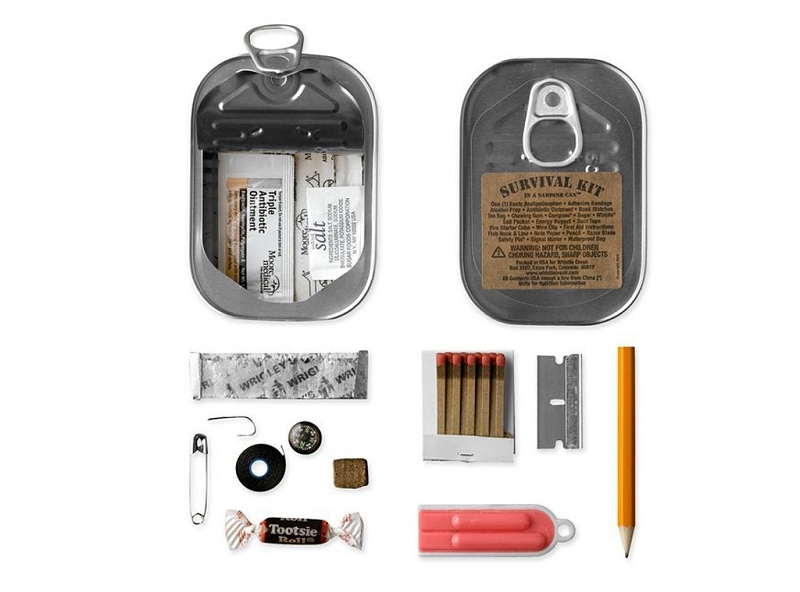 Great for Hikers, Hunters, Survivalists, etc. ItÍs lightweight, airtight, and is so small it can fit in your back pocket! 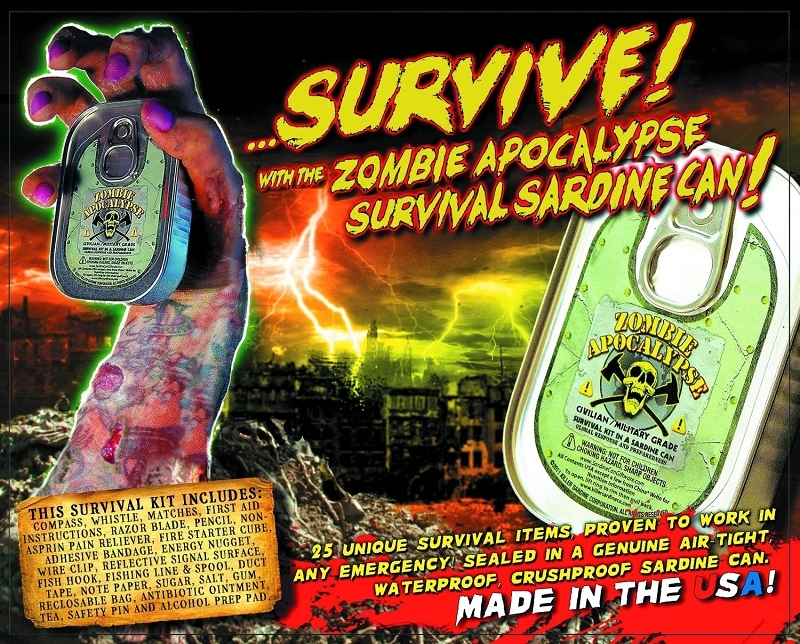 Whats in the Zombie Apocalypse in a Sardine Can?